This Easy Shrimp Cakes recipe is a delicious appetizer or meal! These Shrimp Cakes with Creole Sauce are a delicious Cajun recipe with just enough spice! You can easily make it spicier if you choose. For this recipe I used 1 package, 8 oz, cooked salad shrimp. They were peeled and deveined and the tail was removed. This was a frozen item I thawed in my refrigerator before using. I pureed the shrimp in my food processor. I used a hamburger press to make the patties. The mixture will probably stick in it, so you can use a spoon to help release it from the sides or you can make them by hand. 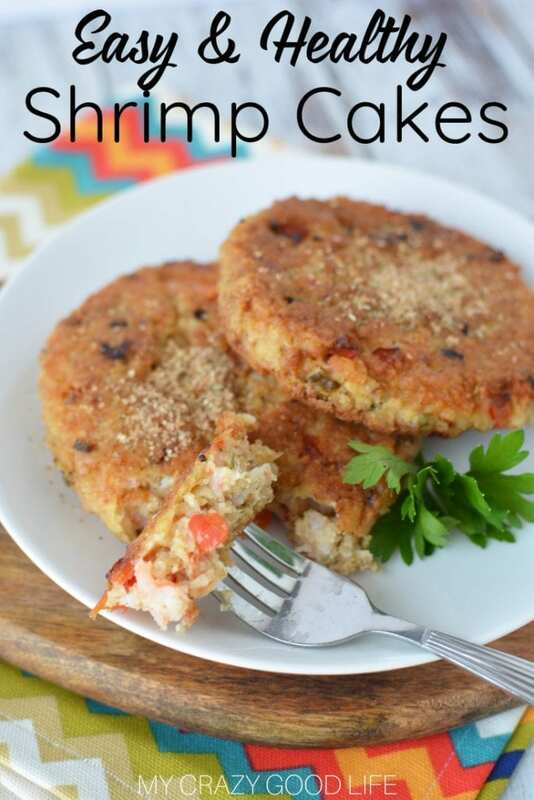 Are these shrimp cakes Weight Watchers Friendly? Yes! The great thing about Weight Watchers is that you can eat whatever you want, you just have to be sure to track it and stay within your points range for the day and week. Each of these easy shrimp cakes is 6 Freestyle Smart Points. I wouldn’t do much tweaking to the recipe because you’ll start to lose the consistency and they won’t work out quite right. These are a great option for dinner and they meal prep really well. 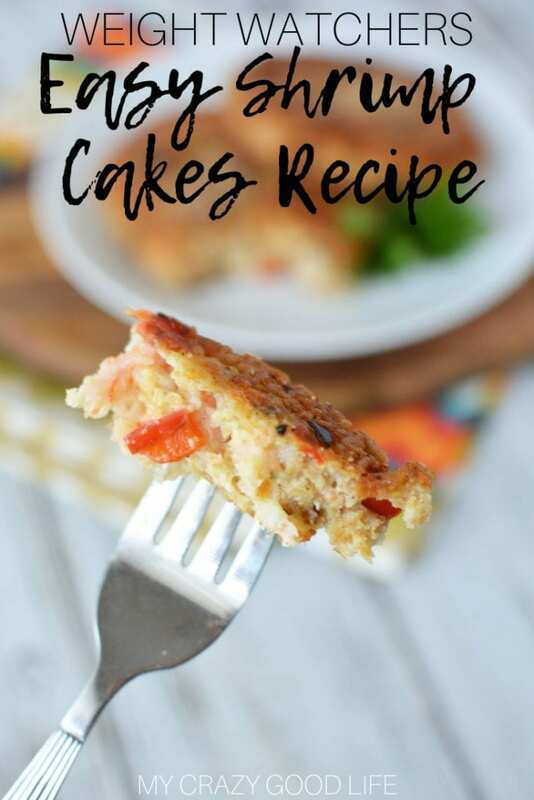 You can have two of these easy Weight Watchers shrimp cakes for just 11 Freestyle Smart Points! Pair them up with some fresh or steamed veggies and you have a quick and easy weeknight meal that the whole family will love. 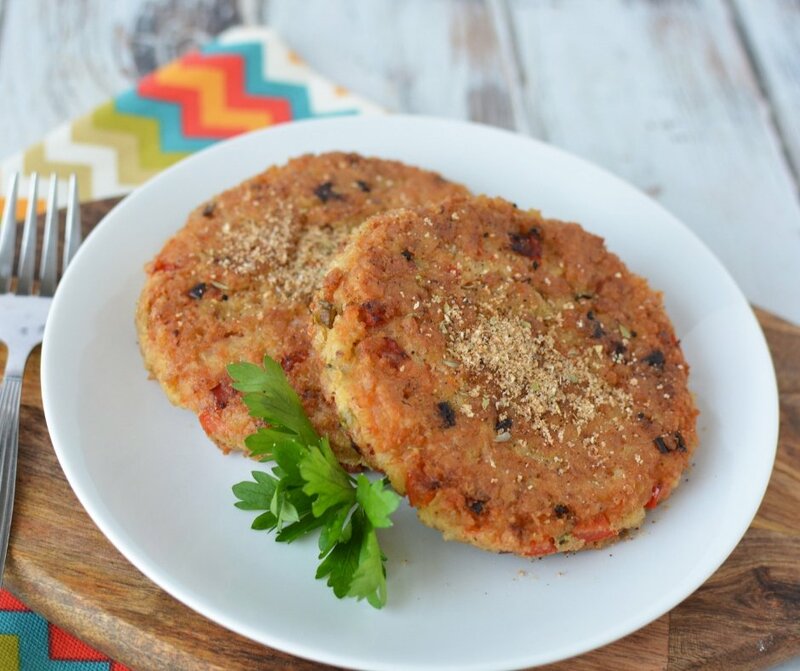 You can enjoy these shrimp cakes on 21 Day Fix & Portion Fix too! 21 Day Fix Container Counts: Entire Recipe: 1G, 5R, 2 optional tablespoons of oil. 1/4 of recipe (completely depends on how big you make the cakes): 1/4G, 1 1/4R, 1.5 teaspoons if you use the oil and not the oil spray. Can I have these delicious shrimp cakes on 2B Mindset? Yes, you can. They have carbs so you’ll need to make sure to work these into your meal plan for lunch! That being said, they’re a wonderful choice for lunch because they go well with so many awesome veggie choices. You can pair them with a salad or with fresh or steamed vegetables for a well rounded meal that suits your 2B Mindset plan just fine. 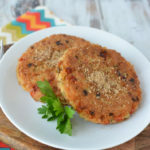 How do I make these easy shrimp cakes? Add bell pepper, onions, and garlic, and sauté 3 to 4 minutes or until vegetables are tender. Stir together bell pepper mixture, chicken, and next 5 ingredients in a bowl. Shape chicken mixture into 8 (3 1/2-inch) patties. Fry 4 patties in 2 tablespoons hot oil in a large skillet over medium heat 3 minutes on each side or until golden brown. Repeat procedure with remaining 2 tablespoons oil and patties. Garnish with parsley, if desired. Serve immediately. Do you have any other delicious recipes like this that I can try? I have lots of great 21 Day Fix, Weight Watchers, and 2B Mindset recipes here for you to try. 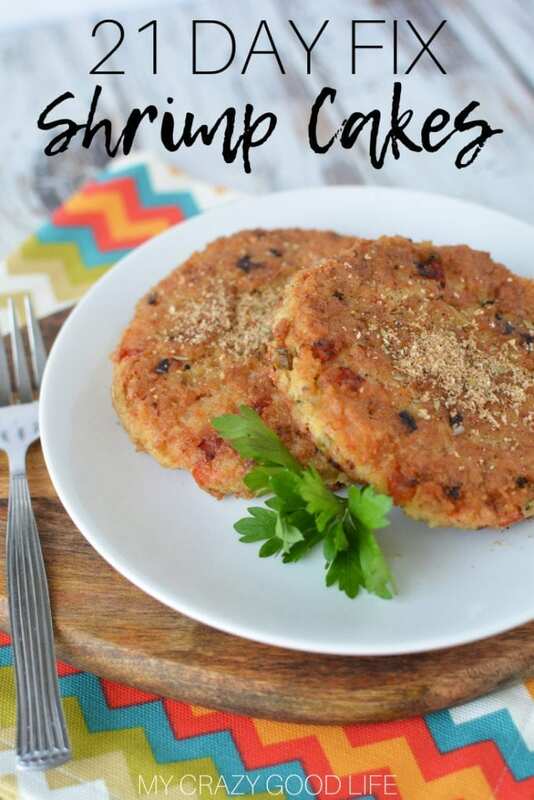 If you love these shrimp cakes you will definitely want to try these sweet potato crab cakes. Spray a large nonstick skillet with olive oil spray and heat to medium heat. Add bell pepper, onions, and garlic, and sauté 3 to 4 minutes or until vegetables are tender. Fry 4 patties in 1 tablespoon hot oil in a large skillet over medium heat 3 minutes on each side or until golden brown. You can use olive oil spray instead of the oil if you'd like. Repeat procedure with remaining tablespoon oil (or spray) and patties. What a wonderful recipe! So perfectly spiced and incredibly delicious. They were enjoyed by my entire family. These are so delicious and I love how healthy and easy to make they are! Thanks for the recipe!